Buying a home is one of the biggest and most important decisions—let alone financial transactions!—you will make in your lifetime. Home ownership is an investment in your future: Owning a home builds wealth over the long term, and it provides significant social benefits. Having Jan Rogers Partners by your side will help you make the best decision possible. There's never been a better time to buy real estate in Upstate South Carolina.. Now, more than ever, you need a real estate agent who has the skills and resources to help you find YOUR perfect property in our extraordinary Upstate. 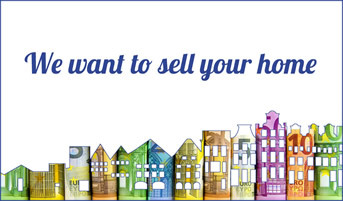 Why Sell Your Home with Jan Rogers Partners? The next "sold" sign could be yours. We have over 15 years of experience selling homes in Upstate South Carolina. Our in-depth knowledge of the local market and market trends can help make the sale of your home a success.